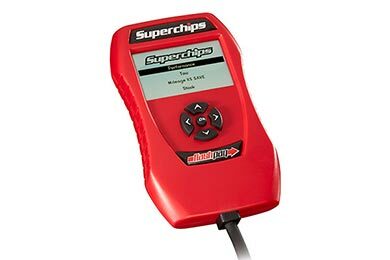 Read 5032 customer reviews about Performance Chips & Programmers that have an average rating of 4.5 to find out what product is best for your vehicle. Overall I like this product very much and definitely would recommend! 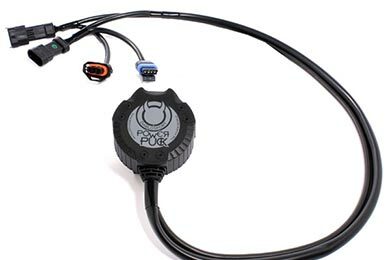 There are many PIDs to monitor to ensure your vehicle is running and performing up to par without the jet fighter cockpit look. I installed the CTS with ease and added an expandable EGT probe to monitor my EGTs also. EGT probe installation went smoothly (instruction manual is a generic multi product guide but easy to follow once you find the small paragraph). I would like to purchase a backup camera but the CTS currently only works for Automatic Transmissions. 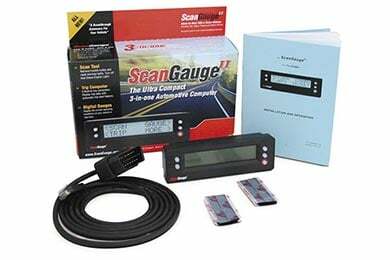 For the money, this is alot cheaper and easier to install vice gauges. 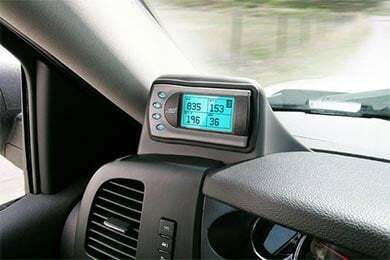 Great looking unit,easy to install, a liitle different shade of grey than my factory dash accents, but pretty close.I like the contrast,kinda makes it stand out. Recieved order very fast,very happy. I have a 2006 Duramax. I originally received a boost in horsepower and increased my mpg by 2mpg. However, after that, both flat-lined and I haven't seen the same smooth shifting nor have I continued to gain mpg. I'm hovering at about 1mpg better than without the MaxEnergy. The horsepower is still there, but the shifting is soft and slow. I'm going to change my fuel filter and see if that helps. I also plan to add an intake and exhaust which sure better make a difference. 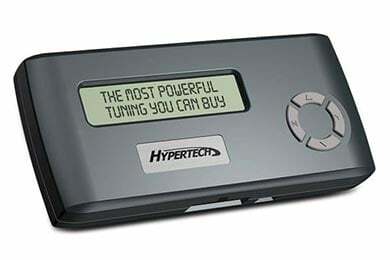 It takes longer to open up the box and plug in the unit than it does to reprogram the computer. I recalibrated for larger tires last week and everything seems to be working fine. I verified my speedometer with a laser radar and my odometer by comparing it to my wifes car. All is accurate to include my overhead computer. Highly recommended if you install larger tires. Had a little problem at first with a auto mind connecting correctly to my truck. 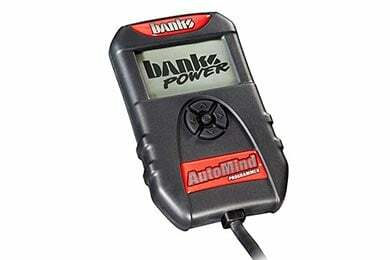 Called banks and they where very helpful, had to down load a update for the auto mind with my PC. 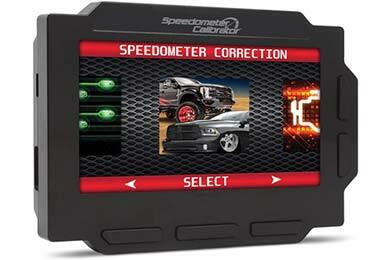 Installed the super sport software and it was a dromatic difference in power, performance. This is my work truck and I was looking to increase my gas milage and this made a big difference all around. Just added a airaid cold air intake system plus a banks monster exhaust with power elbow that i also bought through autoanything. Was getting 10-11 miles per gallon and after two tanks im getting 14-15. Great monitor, easy to install, works great after getting the proper software load from Bully Dog. 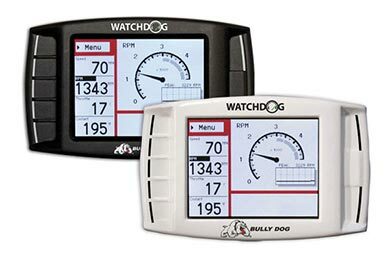 I called Bully Dog and the sent me the current software, uploaded it and everything works fine. Great toy for the price. It makes you aware quickly if you are wasting or saving fuel. 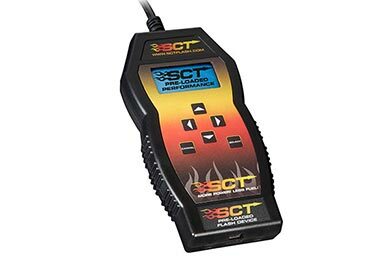 A friend of mine installed one of these in his 2008 F150 4x4 5.4L and said he gained 4-5 miles per gallon over stock, running empty. 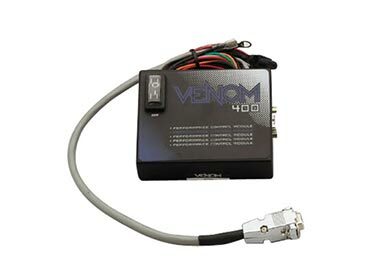 I ordered one for my 2004 F150 4x4 5.4L and installed it in just a few minutes. I'm running level 2 because I haven't put premium gas in the truck, but the mileage has increased about 3mpg, and that's towing about half the time. I'm getting 15-15.5mpg now, and would be getting over 16 if I didn't tow a couple days a week. The extra horsepower feels great and handles the trailer with ease. 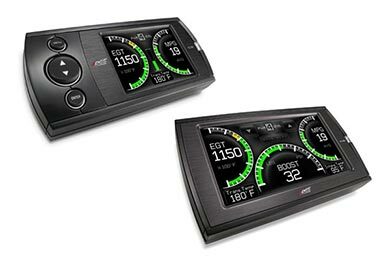 The built-in gauges are handy to keep an eye on things like trans temp and fuel mileage and the mounting pod looks great in the truck. Thus far I am pleased with the programmer. 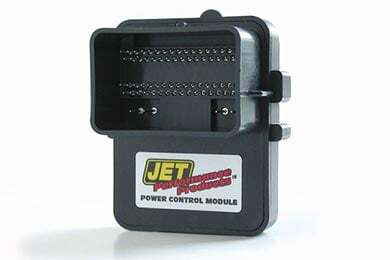 It has added hp and torque without a noticable increase in fuel use. It allows me to use the cruise pulling heavy loads up and down hills without downshifting. Auto Anything was fantastic getting it to me. I ordered it one day and it was at my house the next and I live 2,000 miles from San Diago! The only problem that I have with this module is that it needs 91 octane gas for top performance, but other than that this is a great purchase. I felt the increase in horsepower instantlly! I would pay for another if I had to. 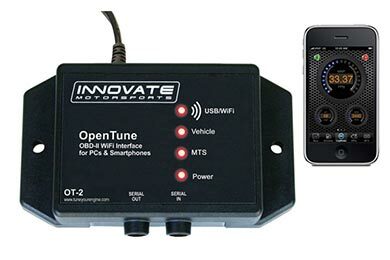 Enjoy being able to monitor trans and coolant temperature as well as real time ignition timing. I'm still trying to get "distance to empty" calibrated. Overall this is a great "monitoring" tool. 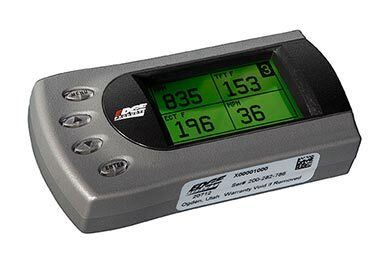 Not only did I get my tuner super fast, but it was everything I had heard of them. 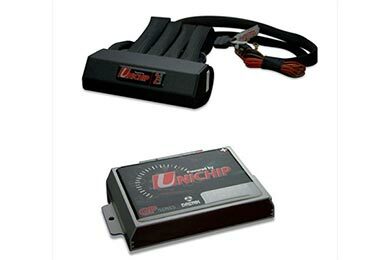 More horsepower, better gas mileage and super easy to use. ITS GREAT I LOVE IT AM GETTING 4 MILES MORE TO A GALLAN!!! Instlled on 94 Honda prelude so it does make a diffrence. Makes car little little more fun to drive. Reference # 759-597-935 © 2000-2019 AutoAnything, Inc.